Quotations about Beat Cancer. Quotes to stimulate mind and drive action! Use the words and quote images to feed your brain inspiring things daily! So live. Live. Fight like hell. And when you get too tired to fight, lay down and rest and let somebody else fight for you. 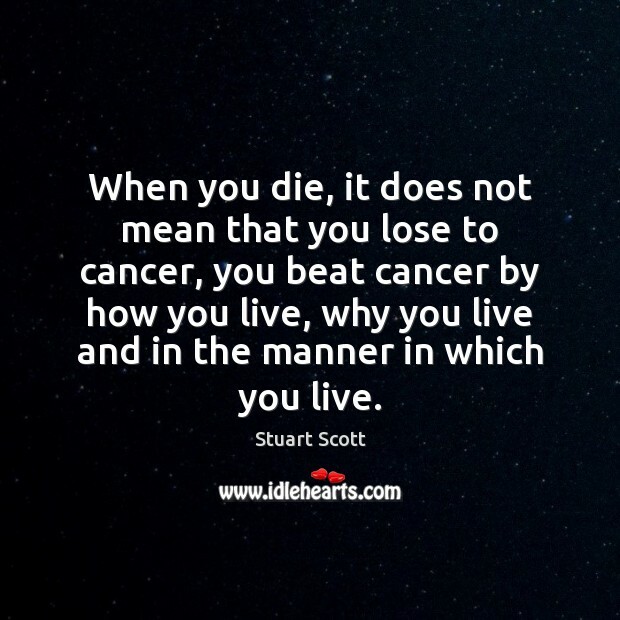 When you die, that does not mean that you lose to cancer. 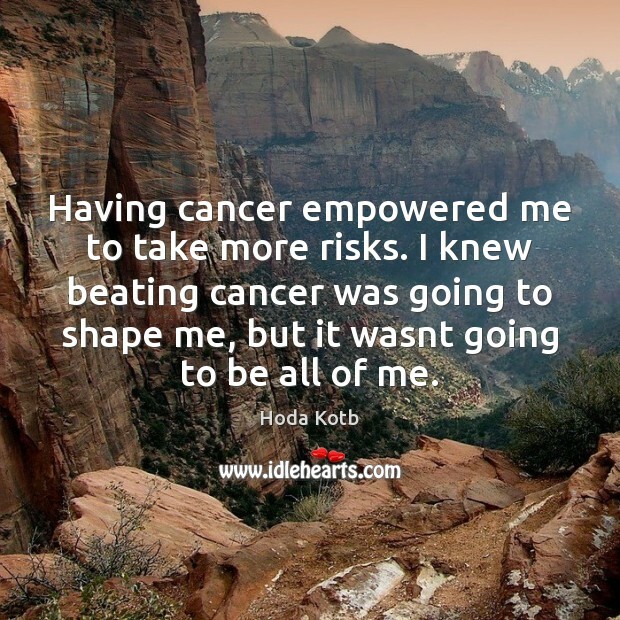 Having cancer empowered me to take more risks. I knew beating cancer was going to shape me, but it wasnt going to be all of me. I'm not sure I'd classify any topics as off-limits, but I don't look for new territories to offend. There's my joke about when my roommate beat cancer. People talk about cancer survivors like they're warriors, but from where I was sitting, she was just watching television and eating soup. Like, did she go to war? No. She kind of just sat around. 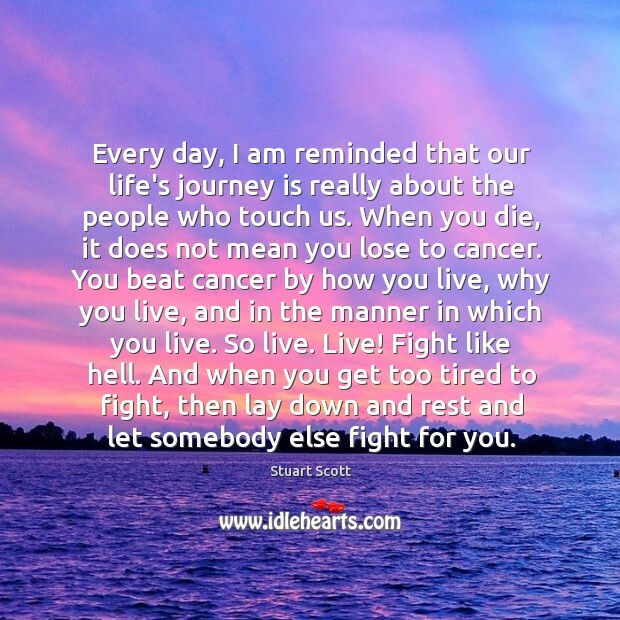 Everyday I am reminded that our life's journey is really about the people that touch us. 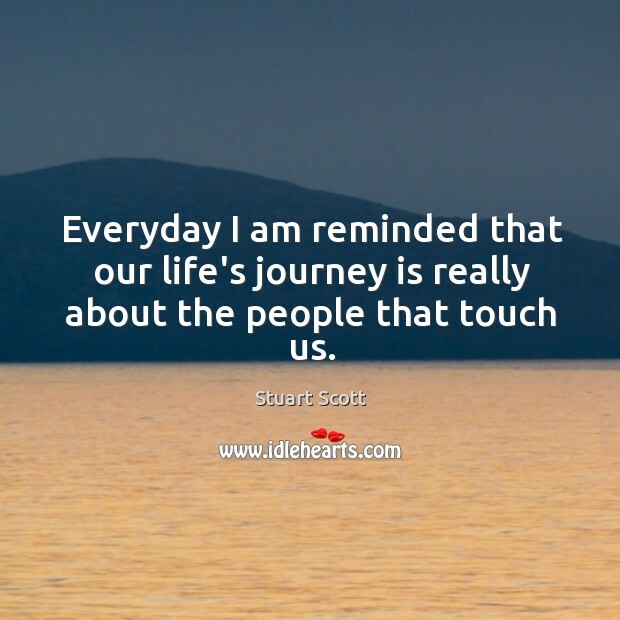 Every day, I am reminded that our life's journey is really about the people who touch us. 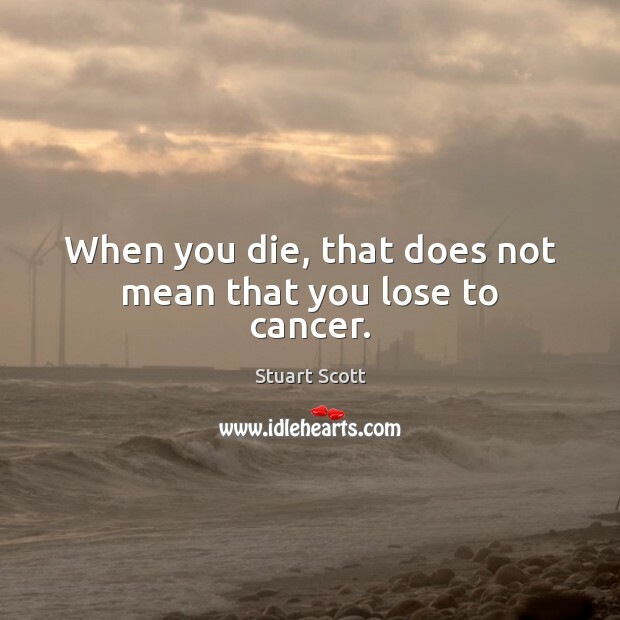 When you die, it does not mean you lose to cancer. 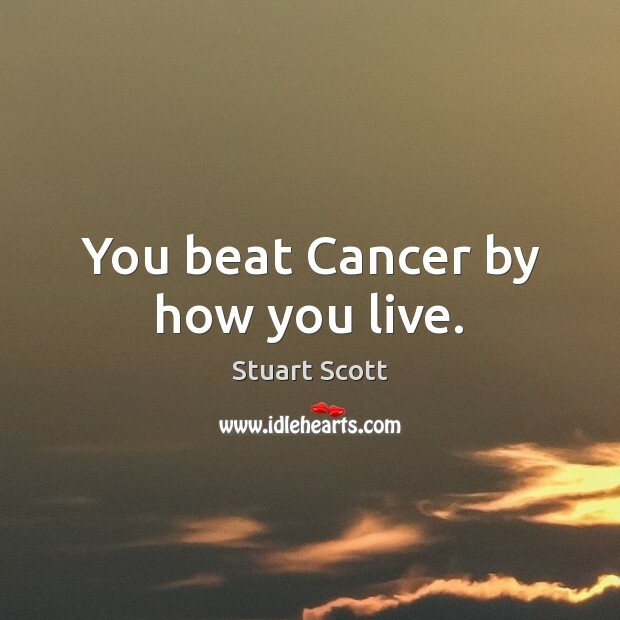 You beat cancer by how you live, why you live, and in the manner in which you live. So live. Live! Fight like hell. 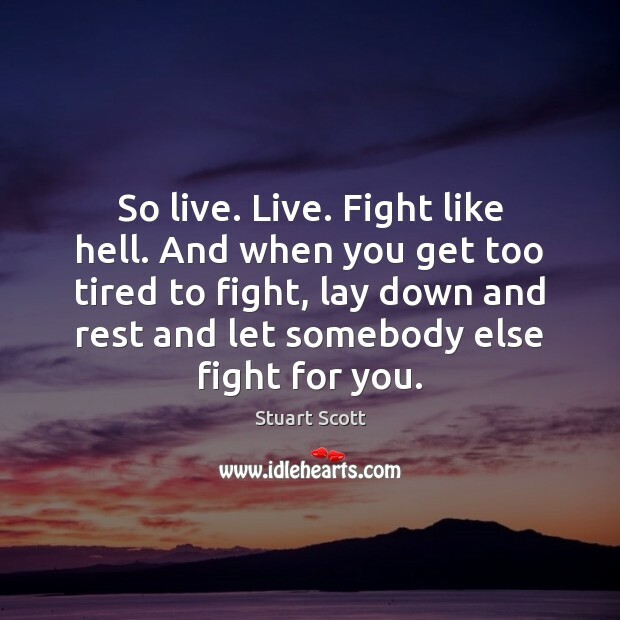 And when you get too tired to fight, then lay down and rest and let somebody else fight for you.